Amazon’s HQ2 dog and pony show is over and the winner was never in doubt. Congratulations to Jeff Bezos and his money vault. 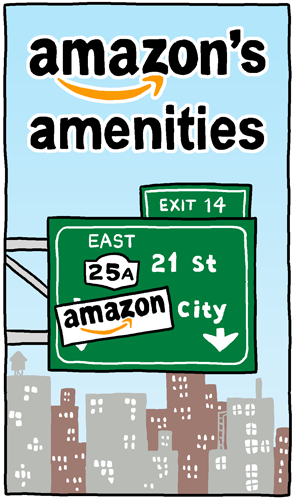 I focused on the Long Island City part of Amazon’s reveal, and not Northern Virginia’s Crystal City because there’s like I’m a Northeast Coast Elitist, and New York City is the southernmost city where I know anything about its local politics.